Pakistan is making important strides in its military and naval capacities with the help of China, relying less on US-made weaponry. Despite accepting money from all sides, Pakistan’s relationship with China continues to be strong. After the Trump administration decided to suspend $3 billion in security assistance to Pakistan, complaining that Islamabad fails to do enough to combat terrorism, Washington has risked pushing Pakistan into the open arms of a number of other notable nations. That being said, this is also the same port in which Saudi Arabia is planning to establish a $10 billion oil refinery, according to the Saudi Energy Ministry, setting Saudi Arabia up as a key partner in the China-Pakistan Economic Corridor (CPEC). Pakistani President Arif Alvi also just hailed the China-Pakistan Economic Corridor (CPEC), vowing that the scheme will bring economic prosperity to the two countries. The CPEC is essentially a combination of infrastructure projects in Pakistan funded by Chinese loans which are worth at least $62 billion. As explained above, Saudi Arabia is not sitting idly by watching this project develop (not surprising, when one understands why). CPEC, combined with China’s New Silk Road Project, has top US lawmakers and intelligence personnel increasingly “concerned.” One senator stated that he was “concerned about data access China may control through digital infrastructure projects in countries around the world. Let’s do the math. As already stated, the US has deprived Pakistan of $3 billion in security assistance. Not too long ago, the Abu Dhabi Fund for Development (ADFD) UAE deposited $3 billion into the State Bank of Pakistan to support its economic growth. Saudi Arabia made a similar promise, agreeing to provide Islamabad with a one-year deferred payment facility for importation of oil worth up to $3 billion. At around the same time, Emirati media announced that the UAE and Pakistan were accelerating defense cooperation after the federal minister for defense production in Pakistan, Zubaida Jalal, received Major General Staff Pilot Ishaq Saleh Al-Balushi, head of the executive directorate of industries and development of defense capabilities at the UAE Ministry of Defense in Islamabad. Pakistan is also expected to sign a memorandum of understanding with Saudi Arabia on a framework for $10 billion in Saudi investments. While some media will present Pakistan’s willingness to work with Saudi Arabia as an issue which will rattle and unnerve China, the available evidence appears to show that Sino-Pakistan relations are continuing unabated. Last Thursday, the Pakistani Army Strategic Forces Command conducted a successful test flight of the Nasr close-range ballistic missile, which is nuclear-capable and can reach a specification of 70km. Pakistan’s economic woes put the nation in an incredibly compromising position. Knowing that it can no longer rely on Washington for support, it has to turn to as many partners as it can to keep its economy afloat. While China may not be thrilled by Saudi Arabia’s attempt to wade in on its project at the Gwadar port, it does appear that Pakistan’s geopolitical significance, particularly in relation to China, will entail Beijing continuing to prioritize its relationship with Pakistan. 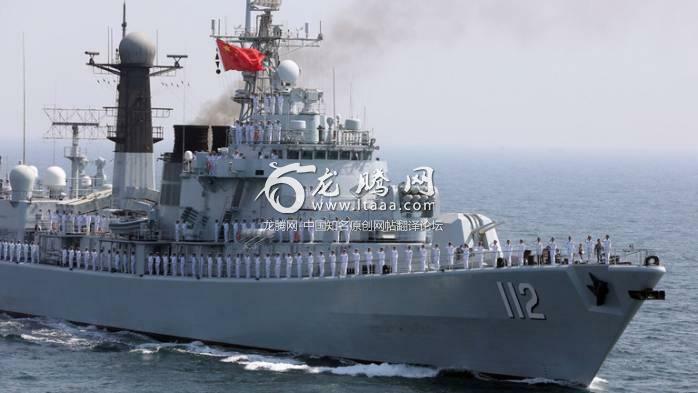 This includes, if necessary, militarizing its available bases in the region through the supply of its Chinese-made naval vessels. As a self-respecting sovereign nation Pakistan must never rely on the u.s-west axis and turn down all sorts of financial assistance , eventually to become a self-reliant and strong country. Religious extremism, bigotry, explosive population growth, illiteracy are exacting a heavy toll on Pakistan. Hope this trend changes and Pakistan evolves into a modern , progressive nation. keep dreaming, 6.8% unemployment rate in India is highest ever since 1970.
the road India is travelling, you will finish up as a US colony. Nothing worse than a rabid dog in its last throes. Just look at their behavior globally. What would you call a nation that sentences a woman to death for "blasphemy" ? Thats Pakistan - your newest best friend! What a pitty you fail to mention good and bad people are all over the world even in your country are not all saints correct. Pakistan was run by corrupt puppets who were installed by the west they looted a poor nation and deposit all looted money in the west Pakistan Army was only in the way of enemies of the country. This innocent woman in also victom of the corrupt system but you must mention now the highest court of Pakistan set her free which is good news.We strongly hope this will not happen in the future. What would you say about the US friend Saudi Arabia head choppers. What do you call countries that commit more or less genocide on weaker countries like Iraq, Libya and Syria? Thats the US and her cronies. China has got no concerns over saudi oil refinery in gwadar because geadar is port for investment from all around the world. We paid US $900m for 9 AH-1z vipers to protect the bordet with afghanistan but i guess they blocked the supply. What a terrible partner. Now we are buying 30 ATAK gunship helicopters from Turkey. Pakistan wants to be friends with the US, China, Russia and of course the Muslim world, we dont have any problems with anyone, whoever wants to cooperate with us, and help us, are welcome, if not, thats fine too. Our enemies are in India, and a friend of India that supplies it weapons cannot be a friend of Pakistan.